I work to be as incisive as possible in my analysis of risk, exposure, the odds of exposure, the quantification of exposure – the aim, of course, being to inform the client early and avoid surprise. I incorporate this analysis into the strategy for handling the client’s matter, regularly updating the direction through ongoing client communications and periodic personal meetings. I know that clients want an outcome that is beneficial as early in the process as possible. But if trial is the only answer, they know I can stand toe to toe with anybody. As a trial lawyer with more than 30 years of experience, Mark Spansel advises clients throughout the Gulf Coast region in the areas of commercial litigation and complex litigation, environmental and toxic tort litigation, energy and maritime litigation and economic development. His clients include major players in the energy, oil and gas industries – including upstream, midstream and downstream companies – as well as companies in the stevedoring, health care and construction industries. 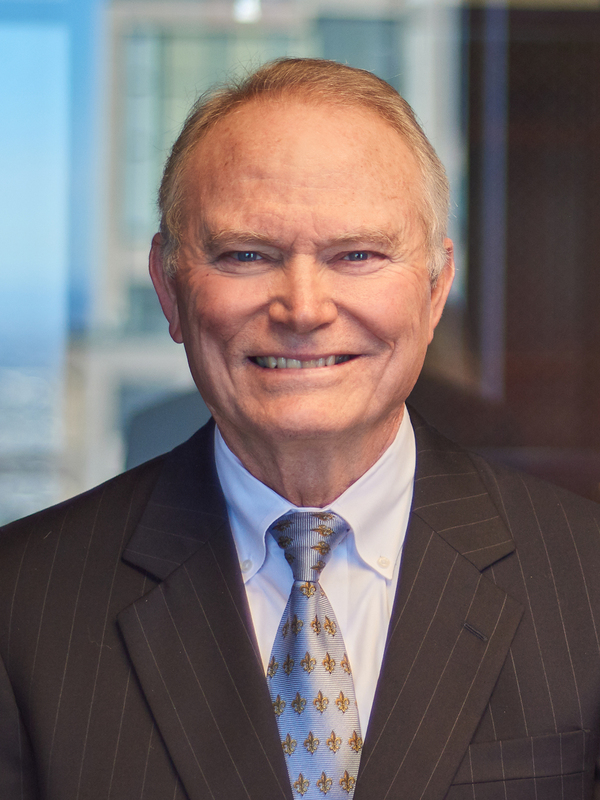 Mark has served as trial and coordinating litigation counsel for a major, international energy company for 30 years, obtaining successful trial verdicts and outcomes in casualty and commercial litigation arising in connection with offshore and onshore drilling operations. He also has represented a Fortune 500 oil and gas refiner in litigation and corporate matters for more than 15 years, including environmental exposure, commercial, casualty, environmental regulation, and transactional matters. Mark frequently lectures on maritime law and offshore/oil field liabilities at professional and industry seminars, including the International Association of Drilling Contractors (IADC) Contracts & Risk Management Conference. He has been a regular speaker at IRMI’s Construction Risk Conference since 1984 and at its Energy Conference since its inception. Mark has served on the Executive Committee of Greater New Orleans Inc. as Secretary and is a member of the Super-Region Committee, a collaborative effort between Greater New Orleans, Inc. and the Baton Rouge Area Chamber to focus on beneficial economic outcomes for Southeast Louisiana. He has served on the Board of Directors and Executive Committee of the Jefferson Parish Chamber of Commerce and was the Chamber’s General Counsel. He has also served as a member of the Jefferson Business Council. He currently serves on the Board of Directors of the East Jefferson General Hospital Foundation. Mark is ranked by Chambers USA for environmental litigation. He was honored with the "Words of Wisdom" Speakers Award by the International Risk Management Institute, Inc. (IRMI) in 2007. Representation of the States of Texas and Oklahoma in successful recovery of damages to rebuild a bridge struck by a towing vessel with barges. Successful defense of a Spanish shipbuilding company in connection with a collision on the Mississippi River. Defense and management of exposures of a company in various lawsuits alleging maritime exposure to asbestos.